Few days earlier I had posted the front portion of this hall. Round the corner from my house is Mackichan Hall, a boy's hostel founded in 1910 by Dr. Mackichan, the Hostel has served various student all over the world. Almost all the wardens of the hostel have gone ahead to become principals of Wilson College. Currently It has more than 120 rooms (Single and Double). 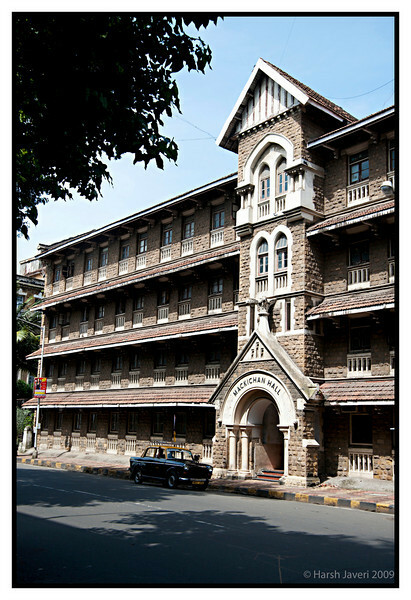 It also host various Management student from the premium Management Institutes of Mumbai besides Wilsonians.